Retail price of new $834. Our used price is $525 Read more.. The 2018 SC Race is now in production after an intense year of ongoing R&D work. 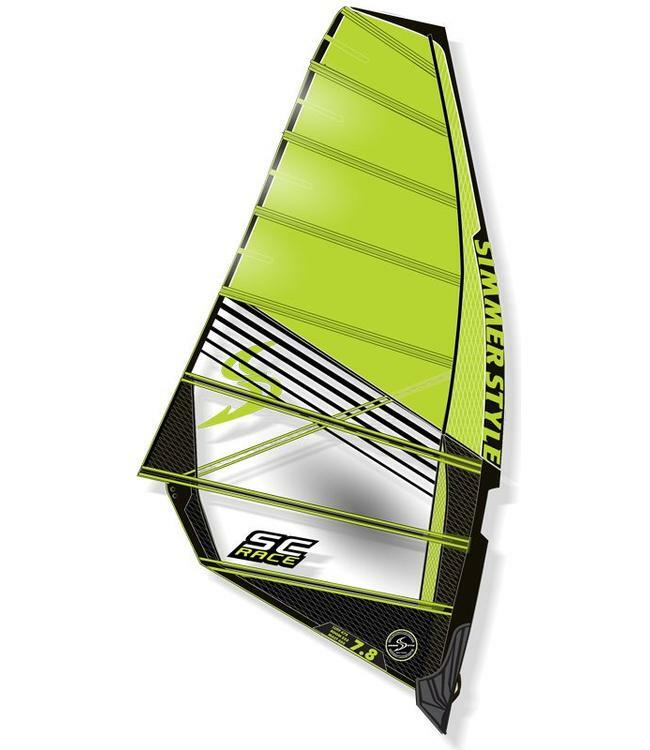 In 2017 Tomas Persson and his R&D team released one of the most ambiguous race sail designs in the history of Simmer Style. 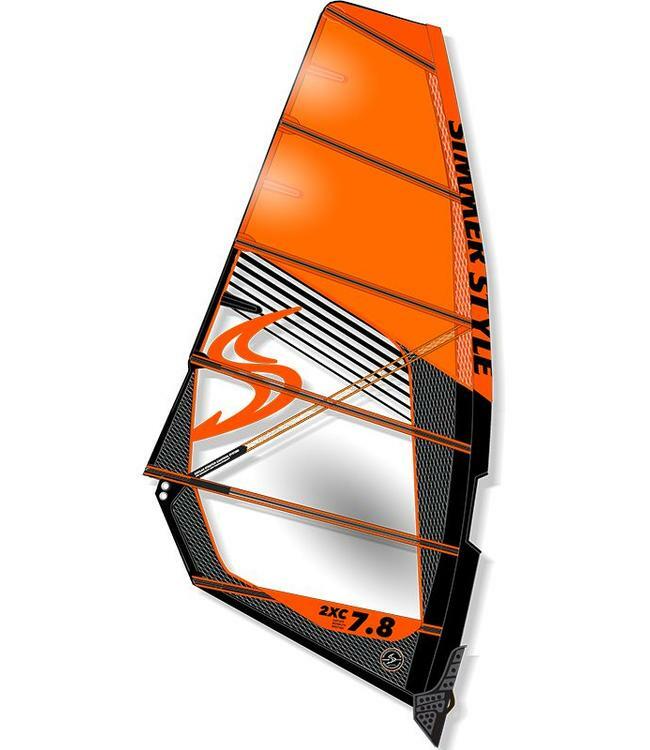 The SC Race was completely re-designing, introducing a vertical panel hidden inside the luff sleeve distribute the load into a larger area of the sail to create a more balanced profile. The positive output was instant! In April this year the sail was among the fastest at the La Palme Speed Challenge i France and during the Luderitz Speed Challange the SC Race broke several records. During the PWA season Valentin Brault has continuously improved his results and showing that it is not only one size working well, but the full range of sizes. On the national race circuits the SC Race also preformed fantastic in the hands of the recreational races. With the success of the 2017 SC Race sail it was a challenging task to improve the performance, so for 2018 the assignment has been to fine tune the sizes and make them faster around the slalom course. After analyzing the performance we realized that we could increase acceleration away for jibing marks, without sacrificing the top speed, by tightening up the leach between batten 5-6 and 6-7. This has been achieved by re-designed luff curve. The 2018 SC Race presents absolute top-end racing performance, which is not only faster than its predecessor but faster than competition. 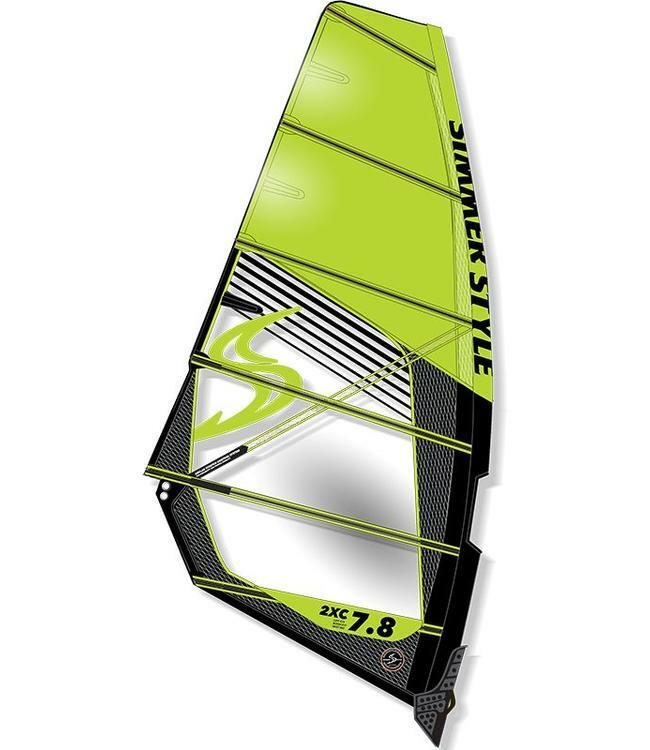 New Simmerstyle 2XC 7.8 2018! Retail price $560 , our used price is $425! New Simmerstyle 2XC 7.1 2018!